Is this a clue to the next series? Uh oh! 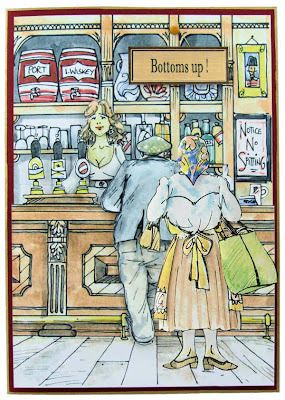 Methinks the fella propping up the bar is in bovver lol. I'm really looking forward to seeing what the next series has in store for us. I've made a couple of my 'Remember When' cards and got very favourable comments from the people who wanted them. Looking forward to the next lot! I have just made my first two "Remember When " cards for my two brothers who's bithdays are soon. I loved making them and look forword to the next series !